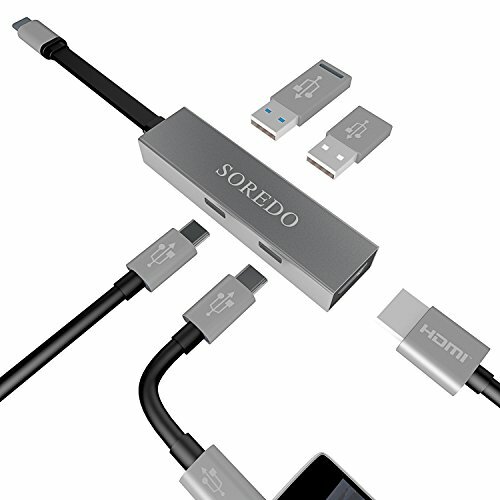 This 5 in 1 USB C Hub can instantly expand your computer capabilities. Support Type C to HDMI devices: 2016/2017 Macbook (Thunderbolt 3), Mackbook Pro, Chromebook, Huawei matebook X, Lenovo Yoga 920, DELL XPS, Sansung S8, Huwei mate 10. If you have any questions about this product by SOREDO, contact us by completing and submitting the form below. If you are looking for a specif part number, please include it with your message.